A gathering to explore the continued significance of the thought of Wendell Berry. Join us for a day-long gathering of friends, food and clarification of thought engaging the work of Wendell Berry. We invite you to contribute to this gathering by writing a short article which explore or applies an aspect of Berry’s work. At this gathering you will have a chance to share your thoughts with others. 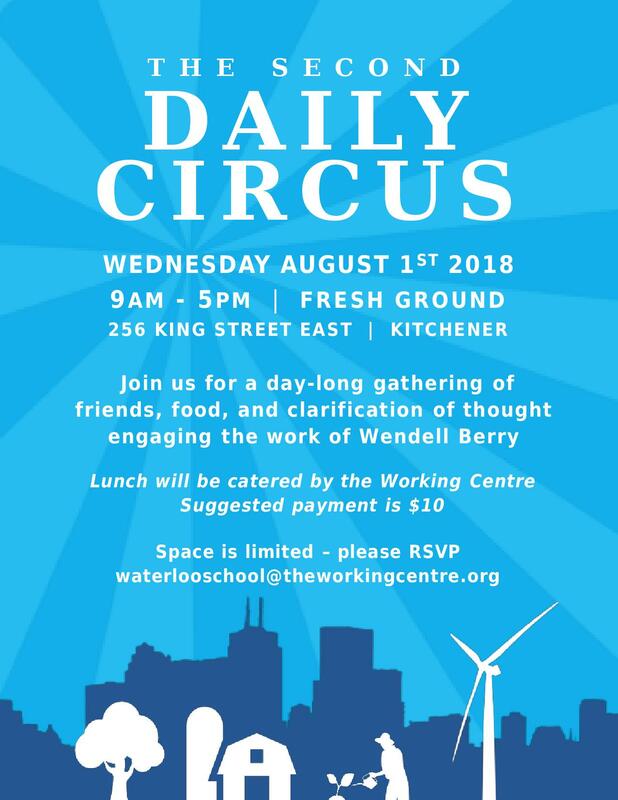 Lunch will be catered by the Working Centre. Suggested payment in $10.